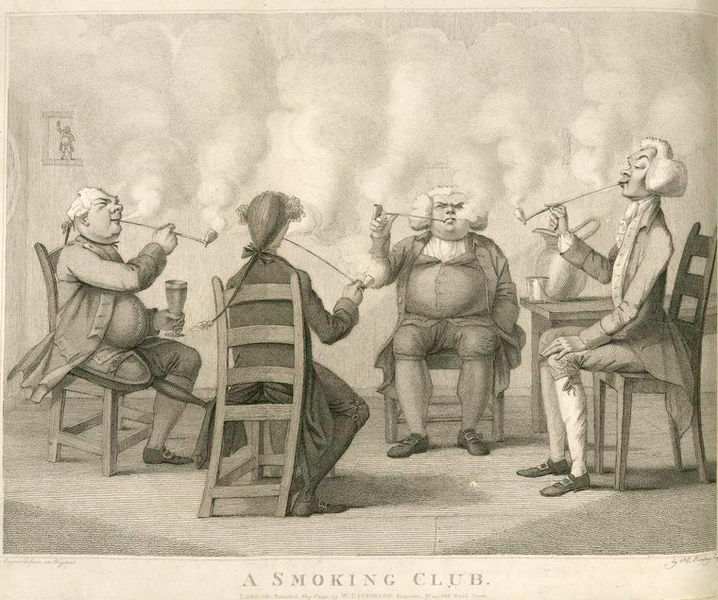 A Smoking Club” – An illustration included in Frederick William Fairholt’s Tobacco, its history and associations, 1859. Obtained from http://en.wikipedia.org/wiki/File:A_Smoking_Club.jpeg. The manufacture of smoking pipes on a commercial basis dates not long after the introduction of tobacco smoking to Europe. Commercially made smoking pipes, as was long the case for American Indian pipes, were designed not simply for a basic functional purpose, but to bring an event, an individual, or an idea to the mind of the smoker.